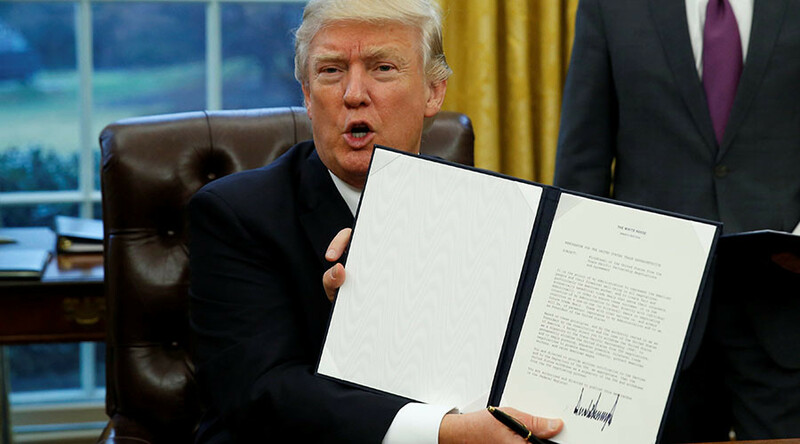 President Donald Trump is being commended by former presidential candidate Senator Bernie Sanders (I-Vermont) as well as some Democrats facing tough reelection campaigns, following his executive order removing the US from the Trans-Pacific Partnership. 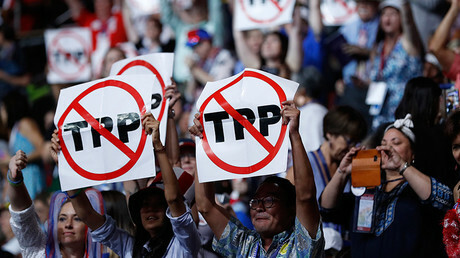 “I am glad the Trans-Pacific Partnership is dead and gone,” Sanders said in a statement Monday. The self-declared democratic socialist campaigned hard to keep Trump out of the White House, stumping for Hillary Clinton despite a fierce primary battle that included a biased Democratic National Committee. But since the election, Sanders has expressed openness to working with Trump, whom he agreed with on his populist opposition to global trade deals. “For the last 30 years, we have had a series of trade deals – including the North American Free Trade Agreement, permanent normal trade relations with China and others – which have cost us millions of decent-paying jobs and caused a ‘race to the bottom’ which has lowered wages for American workers,” Sanders said Monday. “If President Trump is serious about a new policy to help American workers, then I would be delighted to work with him,” he added. This political alliance may be brief and coincidental, but Sanders has a reelection campaign in 2018 to consider. The two-term senator won handily in 2012 with 71 percent of the vote, and Vermont went for Clinton in 2016, but some Democratic senators who have also come out in praise of Trump over TPP are not in as comfortable a position. NAFTA has adversely impacted middle class families in PA and the TPP would have cost jobs and hurt income growth. All political rules went out the window when it came to Trump’s campaign for president. Only time will tell if any more are broken, as the midterm election season creeps up.